How can you fulfil your philanthropic vision through meaningful investments? By: Family *Doing wWealth ell at doingPartners, good, 4Q14 UBS Financial Services Inc.
ance in their overall wealth and well-being. Our team is dedicated to fulfilling part of that mission by spreading financial education to all. This month, the Advisors of Family Wealth Partners address how investors can fulfil their philanthropic vision through meaningful investments. It may be easy to list causes near and dear to your heart, but knowing the best ways to make the biggest positive impact can be a challenge. Whether you want to get involved with a favorite organization or be involved behind the scenes, you have a wide range of options to build a legacy and make a difference at the same time. Combining strategic advisory, a community of like-minded philanthropists and access to vetted opportunities makes the giving experience easier and more enjoyable. There is no single path to philanthropy. At Family Wealth Partners, we are ready to help you turn your vision into reality. Planning your philanthropic vision Everyone has unique issues they care about. Before you start doling out dollars to nonprofits or writing a big check for a favorite cause, it is important to pause for a moment and consider your full philanthropic vision. Your vision should outline the goals you are looking to achieve with philanthropic activities. Once you take into account your skills and resources—combined with your motivations and experiences—you can more confidently choose suitable places to invest. According to “UBS Investor Watch: Doing well at doing good”, 20% of high net worth individuals consider giving to be highly effective. With the right planning in place, however, confidence and satisfaction get a boost of nearly 50%*. Those who put in the effort for planning in advance see the best results both in terms of outcomes and personal satisfaction according to the survey. When building a philanthropic vision, many benefactors look to guiding religious or moral principles, social and environmental causes where they have a personal stake and other affiliations where they can leave a lasting legacy. IIss m myy ggiivviinngg hhaavviinngg aann iim mppaacctt?? YoYuougigviev.eB. uBtuw hahtad tw t odeosesit ig t egte?t?919% 1%ofof inivnevsetsotrosrsusruvrevyeeydedfofroU BSBSInIvnevsetsotroW atacthc*h* rU rW hahvaevedodnoantaetdedtim e eorom onoenyeyininthtehelalsatsyt eyaera, r, tim rm yeyteo ucuhchgogodo.d. t nolnyly202% 0%fefeelellikliekeit’ist’sdodionigngmm PlPalnaninnignghohw —— anadndww hehreer— totogigvievecacnanbobosotst ow e— sastaistfisafcatciotinonbybyalamlm osots5 .Y BSBS t 05% 0% . oYuoruU rU FiFniannacnicailaA dvdivso lA isrocr acnanhehlepl.p. Tweets, posts and letters from our readers. 71 Montgomery County organization provides mental health support for people. Cutting-edge research driving cancer care at Dayton Physicians Network. Dayton: (ISSN-2375-3706) published bi-monthly for a total of 6 issues by Dayton, 714 East Monument Ave, Suite 132; Dayton OH 45402. Periodical Postage paid at Dayton, Ohio, and at additional mailing offices. POSTMASTER: Send address changes to Dayton 714 East Monument Ave., Suite 132, Dayton OH 45402.
and subscribers about content I have created and shared. I enjoyed every single episode of Liv ing D a y t on I “starred in” with the fabulous folks there. It was always my goal to provide you with stories that touched your lives, broadened your horizons and gave you a retort to that all familiar quip, “There is nothing to do in Dayton!” I look forward to maintaining my subscription to the magazine because, like you, I don’t want to miss a minute of all that Dayton has to offer. I appreciate all of the wonderfully caring messages I have received from many of you already as we have made this news known. My hope is that the magazine continues to grow under new direction and will continue to be a fixture in your homes and offices. Dayton Media Company 714 East Monument Ave., Suite 132 Dayton, OH 45402 (937) 329-9060 Go to www.TheDaytonMagazine.com to get your complimentary subscription of Dayton Magazine. 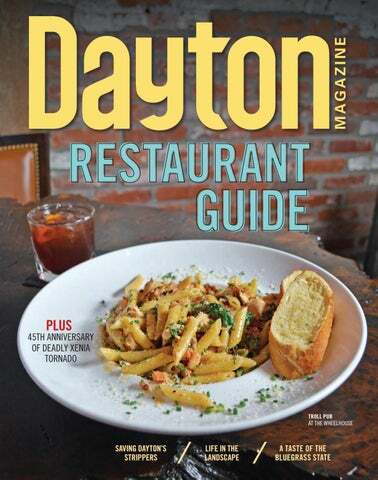 Like Dayton Magazine on Facebook to receive updates. DAYTON ›› CONTRIBUTORS Natasha Baker has lived in the Miami Valley her entire life. Originally from Eaton, she and her husband and three kids currently own Bakers Acres Farms in Waynesville where they naturally raise beef cattle, hogs and chickens. A writer and public relations professional by trade, she also teaches writing and PR at the University of Dayton and is working on a memoir about her farm adventures. Jim Bucher has covered every local business, nonprofit, higher education institution and family event across the Miami Valley on WDTN Channel 2 for more than 25 years. Honors include induction in the Dayton Area Broadcasters Hall of Fame and as a “Dayton Original” from the city of Dayton. In addition to his column here in Dayton Magazine ‘Buch’ handles marketing and PR with his business Buchtvguy.com. Jennifer Patterson Lorenzetti is a writer, speaker and owner of Hilltop Communications. She is the author of four published books, including Fast, Cheap, and Good: Sustainability, One Choice at a Time. She and her husband, Dan, have lived in Dayton for more than 20 years and are active ballroom dancers. Leo DeLuca’s writing has been featured by Ohio Magazine, The A.V. Club, Aviation for Women, and more. He is currently working with American Heritage on its plans for a digital relaunch. The co-author of Dayton’s Spirit of Community Service and Leadership (Dayton History, 2016), DeLuca is a three-time All Ohio Excellence in Journalism award winner. Timothy Walker is a 51-yearold writer who lives in Dayton with his wife, Elizabeth, their two children and a houseful of dogs. He was born and raised in West Virginia and he sold his first story in 1988. In his spare time he enjoys writing and reading weird fiction, offbeat films, jazz music and cooking chili. He is also an ordained minister. Beth Langefels has been a freelance writer in the Dayton area for more than a decade, publishing in the Dayton Daily News, the Vandalia Drummer News and the Dayton B2B Magazine. She works for the Miami Valley Division of the American Heart Association as the communications and marketing director. Val Hunt Beerbower lives in Dayton with her husband, Mike. A graduate of Ohio University, Beerbower’s career in print and digital media spans more than 12 years. The couple spends their time updating their centenarian home, cruising bike paths and rivers, and taking in the vibrant downtown Dayton scene. ABOVE: The Dayton Masonic Center has been an icon in the city’s Steele’s HillGrafton Hill Historic District since 1928. LEFT: U.S. Congressman Mike Turner on the grand portico of the Dayton Masonic Center in 1970. The Kettering Tower is under construction in the background. Montgomery County Public School Districts and Career Tech Centers Each student is challenged, prepared and empowered! More than 800 people attended the 11th annual AleFeast Feb. 2 at the Dayton Convention Center. Over 60 local, national and international craft breweries presented more than 80 beers that were paired with 18 fine-food purveyors from the Miami Valley. Nick Mitchell performed live music. Craft beer met fine food at AleFeast. Wines complementing the food were included at each craft beer table. Beer, wine and food combined to make an enjoyable event. More than 80 beers were available at AleFeast. Looking for an acoustically-correct event, meeting or performance space? A versatile Black Box? A long-term residency? Check out our new Main Library. Consider Dayton Metro Library’s Eichelberger Forum, exquisite Atrium, Bassani Theater Off Third and Opportunity Spaces for your next project. The African-American Community Fund, a component fund of The Dayton Foundation, hosted its inaugural breakfast meeting Feb. 12 at Sinclair Community College. More than 170 people were in attendance to learn more about the fund and its mission to promote philanthropy within the African-American community. The breakfast included an introduction to the board and its new president, Ronnie Redd of Ronnie Redd State Farm Insurance, and a presentation of the fund’s 2017-18 annual report with an overview of the fund’s milestones since its founding in 1992. Please scan to see available properties. The Troy Chamber of Commerce hosted its Annual Dinner and Business Excellence Awards on Feb. 21. The event highlights the role of the chamber in the community, accomplishments from the previous year and recognizes local business through the Business Excellence Awards. The awards are given annually to businesses that excel at what they do and support the Troy community. Business Excellence Award recipient – Small Size Business Category – KSM Metal Fabrication. Pictured are Jenni Buchert and President Kathy Kerber. Past Chairman of the chamber board Jim Stubbs, Miami County treasurer; Joe Dickerson, president, Koverman, Staley, Dickerson Insurance; Greg Taylor, Arbogast Ford; Mark Henestofel, UBS; Jon Dankworth, Crown Equipment; and Larry Smith, owner of Smiths’ Boathouse. Transportation challenges? MiamiValleyRideFinder.org can provide you with contacts and general information about ride options in the Miami Valley. Select the location, the type of ride you wish to use, and the purpose of your ride to view a list of transportation providers that may meet your needs. We welcome you to visit our campus during one of our Welcome Wednesdays! What to expect: • Guided school tour • Receive admissions information • Opportunity to schedule a follow-up Shadow Day • Ask questions, get answers! • For all new students in Grades K-11 • Those attending receive Admission Discount Coupon (value up to $100) • Meet the SVA administration, teachers and staff • Join us and see SVA in action! • For all students ages 4-5 (rsvp requested) • Little Stallion kick-off begins in multi-purpose room with fun, kid-friendly activities • Parents will visit the classroom and be given an introduction to our Early Childhood Program at SVA • Ask questions, get answers! Troy Chamber of Commerce Executive Director Kathi Roetter with Business Excellence Award recipient – Medium Size Business Category – Buffalo Wild Wings Director of Operations Darcy Bruns and General Manager Jordan Schatz. Kate Lins, owner of Upper Valley Hearing and Balance, a Business Excellence nominee, with staff. I was with, my experience was not unique. Students from schools all over the Miami Valley were there that day to share in this wonderful adventure. And all of us had the Dayton Philharmonic Volunteer Association to thank. Proceeds from the 40th annual Designers’ Show House and Gardens May 3-19 will benefit music education, the Dayton Philharmonic Orchestra and the Dayton Philharmonic Volunteer Association. orchestra members into schools to provide encouragement to young musicians through the Q the Music Classroom and Orchestra & You programs. Violinists, flautists, trombonists, and even the occasional bassoonist would share their talents and love of music with students like me dying to learn more. through seniors Concerto auditions are conducted for piano, strings, woodwinds, brass and percussion. Distinguished area musicians judge the students. Dayton Philharmonic Orchestra Music Director Neal Gittleman judges the finals. The winner receives a $500 cash award and is the featured soloist with the Dayton Philharmonic Orchestra at a Young People’s Concert the following season. Probably the most well known faces of the Dayton Philharmonic Volunteer Association are all those friendly ushers who guide and direct students to their seats and ensure that there is a modicum of good behavior happening throughout the educational concerts. In fact in my first experience there were a couple of older gentlemen located at the back of theatre behind my class. The performance began with a lovely version of the Star Spangled Banner after which two, rather drunk gentlemen yelled out, “Play Ball!” The speed at which the ushers had them out of their seats and out the doors was impressive to say the least! bassoon goes for upward of $4,000). Those instruments, along with some incredible instruction from my band directors, helped me secure a scholarship on bassoon for my first year at Bowling Green State University and put the dream of a college education in my grasp. April 2-7 Cameron Mackintosh presents the new production of Alain Boublil and Claude-Michel Schönberg’s Tony Award-winning musical phenomenon, Les Miserables, direct from an acclaimed two-and-a-half-year return to Broadway. Tu-F 8 p.m., Sa 2 p.m. & 8 p.m., Su 2 p.m. & 7:30 p.m. Tickets start at $26. Schuster Center, 1 W. Second St., Dayton. 228-3630. victoriatheatre.com. April 6 Marvel at the talents of Nikita Mndoyants, the latest winner of the Cleveland International Piano Competition, as the Springfield Symphony Orchestra steadfastly champions young talents destined for greatness. 7:30 p.m. Tickets start at $27. Clark State Performing Arts Center, 300 S. Fountain Ave., Springfield. 328-3874, pac.clarkstate.edu. April 11 The Moth Mainstage features five storytellers, working from a common theme, who develop and shape their stories with a director. 7:30 p.m. Tickets start at $28. Victoria Theatre, 138 N. Main St., Dayton. 228-3630, victoriatheatre.com. April 11 Martin Sexton returns with what Rolling Stone calls his “soul-marinated voice,” acoustic guitar and a suitcase full of heartfelt songs. 7:30 p.m. Tickets start at $38. PNC Arts Annex-Theatre, 46 W. Second St., Dayton. 228-3630, victoriatheatre.com. Orchestra. Tickets start at $18. F-Sa 8 p.m., Su 3 p.m. Schuster Center, 1 W. Second St., Dayton. 228-3630. victoriatheatre.com. April 13 The Dayton Ballet presents the story of Sleeping Beauty with a few creative twists. Tchaikovsky’s Sleeping Beauty performed by the Dayton Philharmonic Orchestra. This production is specifically designed for children and adults with autism spectrum disorder, sensory processing diagnoses and other special needs. $25. 2 p.m. Schuster Center, 1 W. Second St., Dayton. 228-3630. victoriatheatre.com. Inuit hunters and sailed the arctic waters, all to get an intimate look at life in the Arctic. Su 3 p.m., M 7 p.m. Tickets start at $29. Victoria Theatre, 138 N. Main St., Dayton. 228-3630, victoriatheatre.com. April 18 Igor Stravinsky provides a musical setting of the legend of Faust, in which a returning WWI soldier sells his violin to the devil in return for the promise of fortune and wisdom. 7 p.m. $40. Springfield Museum of Art, 107 Cliff Park Road, Springfield. 328-3874, pac.clarkstate.edu. April 25-May 12 Middle-aged Greg brings home a dog he found—or rather, one that found him—in the park. With no other identification other than “Sylvia” on her nametag, she’s a streetsmart mutt with a mind of her own and no shortage of opinions. Tu-W 7 p.m., Th-Sa 8 p.m., Su 2 p.m. & 7 p.m. Tickets start at $14. Loft Theatre, 126 N. Main St., Dayton. 2283630, humanracetheatre.org. April 27-28 Maestro Neal Gittleman and the Dayton Philharmonic Orchestra share the stage with the band Classical Mystery Tour for a full performance of Sgt. Pepper’s Lonely Hearts Club Band. Sa 8 p.m. Tickets start at $32. Schuster Center, 1 W. Second St., Dayton. 228-3630. victoriatheatre.com. April 27 When the planetarium is closed and the field trip is ruined Ms. Frizzle saves the day. The Magic School Bus blasts off into outer space to explore the solar system. 1 p.m. and 4 p.m. $16. Victoria Theatre, 138 N. Main St., Dayton. 228-3630, victoriatheatre.com. April 28 When the planetarium is closed and the field trip is ruined Ms. Frizzle saves the day. The Magic School Bus blasts off into outer space to explore the solar system. This production is great for all families, especially for children with an autism spectrum disorder, sensory sensitivity and other special needs. 2 p.m. $16. Victoria Theatre, 138 N. Main St., Dayton. 228-3630, victoriatheatre.com. April 28 The unique Sundae Classics format features musical examples and explanation by Dayton Philharmonic Orchestra artistic director Neal Gittleman. Along with guest rock ensemble Classic Mystery Tour, Gittleman will take you on a very special tour through The Beatles’ classic album, Sgt. Peppers Lonely Hearts Club Band. A casual Q&A and ice cream social with a free scoop of Graeter’s follows the performance. 3 p.m. Tickets start at $9. Schuster Center, 1 W. Second St., Dayton. 228-3630. victoriatheatre.com. May 3-4 Based on the popular comic strip by Harold Gray, Annie has become a worldwide phenomenon and was the winner of seven Tony Awards, including Best Musical. F 8 p.m., Sa 2 p.m. & 8 p.m. Tickets start at $22.50 Victoria Theatre, 138 N. Main St., Dayton. 228-3630, victoriatheatre.com. May 3 The spirited, romantic and beloved musical story of Maria and the von Trapp Family will once again thrill audiences with its Tony-, Grammy- and Academy Award-winning Best Score, including “My Favorite Things,” “Do-Re-Mi,” “Climb Ev’ry Mountain,” “Edelweiss” and the title song. 8 p.m. Tickets start at $38. Clark State Performing Arts Center, 300 S. Fountain Ave., Springfield. 328-3874, pac.clarkstate.edu. May 4 Join the Dayton Contemporary Dance Company and the Dayton Philharmonic Orchestra for a night of celebration of dance and community in the performing arts in Dayton. 6:30 p.m. Tickets start at $28. Schuster Center, 1 W. Second St., Dayton. 228-3630. victoriatheatre.com. May 6 Best friends Julia and Jane are both in stable—but sometimes boring—marriages. Their lives are turned upside down when a past lover of both ladies plans a visit. 7 p.m. $20. Loft Theatre, 126 N. Main St., Dayton. 228-3630, humanracetheatre.org. May 9 Hilarious best friends Cat and Nat created a massive online community of moms by sharing their ultra-real and just a bit Rrated dispatches from the mom trenches. 7 p.m. Tickets start at $25. Victoria Theatre, 138 N. Main St., Dayton. 228-3630, victoriatheatre.com. May 9-12 A naïve boy raised by goatherds is discovered to be heir to the kingdom. The achingly beautiful and tender language of Oscar Wilde joins the intimate and magical world of Slingsby Theatre Co. from Australia. Th & F 7 p.m., Sa 11 a.m., Su 1 & 4 p.m. $16. PNC Arts Annex-Theatre, 46 W. Second St., Dayton. 228-3630, victoriatheatre.com. Salome May 17 and 19 Thinker in the World. 5:45 p.m. Tickets start at $19. Victoria Theatre, 138 N. Main St., Dayton. 228-3630, victoriatheatre.com. May 18 Local favorite Trudy Faber, harpsichordist, returns to the Springfield Symphony Orchestra stage and revisits one of the landmarks of music, the “Ode to Joy.” 7:30 p.m. Tickets start at $27. Clark State Performing Arts Center, 300 S. Fountain Ave., Springfield. 328-3874, pac.clarkstate.edu. “Moonlight Serenade,” “Chattanooga Choo Choo,” “Pennsylvania 6-5000,” “String of Pearls” and “Tuxedo Junction” back to the stage. Even 80 years after founding his famous orchestra Glenn Miller’s music is alive and well. 7 p.m. Tickets start at $48. Victoria Theatre, 138 N. Main St., Dayton. 228-3630, victoriatheatre.com. May 10-11 Guest conductor John Mauceri and guest cellist Adrian Daurov perform Prokofiev’s “Overture on Hebrew Themes,” Bernstein’s “Three Meditations from MASS,” Bruch’s “Kol nidrei” and Shostakovich’s “Symphony No. 5” with the Dayton Philharmonic Orchestra. F & Sa 8 p.m. Tickets start at $9. Schuster Center, 1 W. Second St., Dayton. 228-3630. victoriatheatre.com. May 17 and 19 Adapted from a play by Oscar Wilde, Salome retells the biblical account of the death of John the Baptist, all because of the lust of a king, a salacious dance and a promise to fulfill. F 8 p.m., Su 3 p.m. Tickets start at $25. Schuster Center, 1 W. Second St., Dayton. 228-3630. victoriatheatre.com. May 21 Michigan clarinet phenomenon Dave Bennett debuts his new show Rockin’ the 50s, featuring the music of Jerry Lee Lewis, Elvis Presley, Chuck Berry and more. 7:30 p.m. Students $5, adults $30. Centerville Performing Arts Center, 500 E. Franklin St., Centerville. 853-8292, mvcconcert.org. May 31-June 1 Neal Gittleman and the Dayton Philharmonic Orchestra welcome guest artist Byron Stripling for a concert featuring the works of Louis Armstrong. 8 p.m. Tickets start at $14. Schuster Center, 1 W. Second St., Dayton. 228-3630. victoriatheatre.com. Don’t see your event? 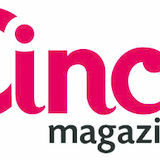 Visit thedaytonmagazine.com to add it to our online listings for free. THE SIGHTS & SOUNDS OF GEORGETOWN. s the featured location of this year’s season of Top Chef (which has previously featured cities like New Orleans, Seattle and Miami and states like California) Kentucky is becoming a culinary destination for foodies throughout the country. For those who wish to taste the state’s cuisine there’s no better way to start than with a culinary trail. Kentucky is home to 11 unique trails that cover everything from craft beer to regional specialties like the Hot Brown. Try a delicious Hot Brown at one of about 40 restaurants on the Hot Brown Hop in Louisville. The Ethereal Brewing Co. is on the Brewgrass Trail. bourbon it has burgeoning craft beer scene as well. “We do say, ‘Respect bourbon but drink beer,’ when it comes to the Brewgrass Trail,” says Niki Heichelbech-Goldey, director of communications for VisitLEX in Lexington. “It’s kind of a nice alternative to folks that are out there doing the Kentucky Bourbon Trail.” At press time, 12 breweries with 14 locations were on the trail, though Heichelbech-Goldey says several more are being added this May. Participants can pick up a passport at any participating location and get started. To “conquer” the trail visitors need to visit all 12 breweries. You can then either mail the passport in or drop it off at the final brewery to claim a free T-shirt. Heichelbech-Goldey adds that the rules will change once the new breweries are added but are not finalized at this time. While bourbon may be on the brain of many visitors to Kentucky, HeichelbechGoldey says that the craft breweries in Lexington offer something you can’t find anywhere else. A culinary trail now celebrates beer cheese, which was first made in Clark County, Kentucky. LEFT: Check out the Beer Cheese Festival in downtown Winchester. ABOVE: Try the beer cheese at JK’s Forest Grove Grocery in Winchester. Beer cheese complements a burger. Looking for more dining options? Kentucky offers eight more trails featuring a variety of food. hile Gatlinburg, Tennessee, is full of events all year long it’s particularly event-filled during the spring. “We’re known for the wildflowers that bloom in April and then also the mountains that turn that spring green,” says Marci Claude, public relations manager for the Gatlinburg Convention and Visitors Bureau. “Everything just comes alive and the baby bear cubs come out and the baby birds are everywhere and it’s just a wonderful time to be in the Smokies.” The spring festivities kick off April 12 with the Gatlinburg Smoky Mountain Wine Weekend. This two-day event features the Gatlinburg Wine Tour on Friday April 12, and continues with the all-day Gatlinburg Smoky Mountain Wine Fest on April 13 at the Arrowmont School of Arts and Crafts. Twenty wineries will be at the event, and attendees will get to taste wines from them all while attending seminars and workshops. “New this year you can get a VIP ticket, which allows you to have access to a VIP room where you can go to take a respite from walking outside and there will be drinks there and snacks and things like that,” adds Claude. CLOCKWISE FROM TOP LEFT: A Gatlinburg artist shows her marbling technique; the fountain at The Village; an artisan works on a piece of pottery; and a tour guide discusses the wildflowers. ayton’s Carillon Historical Park has long been a valuable public space for the city and the surrounding region, but the impending completion of its new Heritage Center of Regional Leadership will add a magnificent multipurpose facility to the 65-acre open-air museum. Over its nearly 70 years of existence, Carillon Historical Park has provided a place for visitors that is chock full of historical exhibits and public amenities. In that span, the park and its parent organization Dayton History—founded in 2005 with the merger of Carillon Historical Park and the Montgomery County Historical Society—have kept adding to the appeal. This fall will bring the opening of one of the park’s biggest additions in a while. The 32,000-square-foot Heritage Center of Regional Leadership will connect the Carillon Brewing Co. with the nearby Kettering Family Education Center at the eastern end of the park. This new building will house historical exhibits such as a restored Barney & Smith railcar from 1904 and a gallery of regional leaders and their stories, as well as rentable spaces and rooms open to community use. “Dayton History seeks to inspire generations by con nec t i ng t hem with the unique people, places and events that changed Day ton and the world,” says Lauryn Bayliff, director of community development for Dayton History. “With classrooms, meet ing spaces, a new exhibit gallery, an outdoor dining plaza, new restrooms and a banquet facility with seating for 700 guests the new Leadership Center will provide ample space to find such inspiration.” This new building joins many others in Carillon Historical Park that are equal parts public amenity and museum. The James F. Dicke Family Transportation Center, near the historic Morrison Bridge, continues to be one of the most popular destinations for outdoor weddings while also housing several restored 19th century vehicles. The handcarved Carousel of Dayton Innovation, featuring 29 figures of the city’s impact and legacy for children and families to ride, opened in 2011. Carillon Brewing Co., opened in 2014, is a brewery located within the park that functions both as museum and beer hall. There, brews and ciders are painstakingly created according to 19th century recipes. Construction of the Heritage Center of Regional Leadership began with a groundbreaking in July 2018. Now the slightly over yearlong project is on the verge of opening its doors to the public. Chamber of Commerce and CEO of the Troy Development Council. “It comes down to people,” says Graves. “The people here are genuine, hard-working people who actually love their community and have a tremendous amount of community pride.” That’s what convinced Graves to come to Troy and join the Chamber of Commerce and Troy Development Council, even though he had other opportunities in addition to Troy when he drove into the city for his interview. “As I drove in you could see the community pride on every street that you go down,” he says. “And the city has really put an emphasis on quality of life and community pride and it shows.” One business that is tapping into Troy’s emphasis on quality of life is the Kettering Health Network. A new, three-story, nearly 100,000-square-foot hospital is set to open later this year at 600 W. Main St, says Graves. pring is in the air and the shops of Oakwood offer you a pleasant shopping experience all within walking distance. Don’t miss these great stores and the many local bistros and cafes along the way. Get Dressed! carries the fabulous traveler’s line Anatomie from Miami, Florida. These coordinating pieces would be a great addition to anyone’s summer travel wardrobe. Super lightweight and ideal for a carry-on, they come in sizes XS-XL and range in price from $144-$360. V i nt age s hop T he Toasty Barker Bout ique of fer s a f u l l range of antique items for your household. They even have a “vintage” closet of fun, classic pieces. Vintage paint-by-numbers set, $150 for all four pieces. MARIA GOSSARD DESIGNS BLUE TURTLE TOYS For nearly 20 years Blue Turtle Toys has provided educational and fun toys for kids of all ages in the Oakwood area. Its new line of adorable plush animals are from Charlie Bears out of Cornwall, England. Prices range from $25-$90. Personalized stat ionar y makes any letter, thank-you note or invitation so much more. Artist Maria Gossard designs beautiful stationary for every occasion. She and her partner also provide full wedding-planning services from their shop in Oakwood. Prices vary. Many homeowners are choosing to incorporate water into their landscape. come to the garden and that’s the big trend. And being more organic,” says Schelhorn. “And I love it. I like nature and going organic.” Other trends for people installing landscaping include anything with fire and water, says Robert Siebenthaler, president of The Siebenthaler Co. “Firepits and fireplaces and water features to add a little feng shui to the Midwest is definitely popular,” he says. Another trend for backyard landscapes is installing an outdoor kitchen that includes a pizza oven, says Siebenthaler—although that may be a little more “trendy” than functional. “The number of times you have to cook a pizza to get your money back is not real good,” he says. Many people who come in to ask about landscaping services want to know whether it’s a good investment to put money into installing an indoor or outdoor living space, says Siebenthaler. That’s when Siebenthaler’s employees come in and act in an advisory capacity to suggest what kind of budget it would take to move the family outside to get more enjoyment out of the backyard, he says. REGIONAL RELIABLE R E N E WA B L E The unsung heroes of our community don’t wear capes— they wear vests. Every day, our Environmental Scientists work diligently to keep our rivers, lakes, and streams clean. Want an inside look at how our Water Department tests, treats, and delivers quality water for your recreational use? ith an ever-changing restaurant scene there are plenty of new places to try and old favorites to appreciate in the Greater Dayton area. We chose some of the Miami Valleyâ&#x20AC;&#x2122;s many restaurant gems that range from hometown hangouts to fine dining, all offering their very best to you, their guest and customer. In this issue of Dayton Magazine we are delighted to share with you the 2019 Restaurant Guide. 33 E. Fifth St. • Dayton, OH 45402 937-224-0800 • cpdayton.com Looking for an experience rather than just a place to eat? Then you need to check out View 162, which is the rooftop restaurant at Crowne Plaza Dayton. View 162 is a restaurant with a casual atmosphere that offers a wide variety of American cuisine to please any palate as well as signature cocktails and local craft beers. Complimentary self-parking in the parking garage adjacent to View 162 is also available. We cannot wait to see you and give you a new perspective of downtown Dayton 162 feet off the ground! Live Well Dayton brings you balanced, health-related editorial content to help you discover wellness in multiple aspects of life. Many restaurants like to offer limited-time food items to attract new customers or appeal to existing customers. Over the past year, Hickory River Smokehouse in Tipp City has been experimenting with limited-time sandwich offerings and has had so much success a few of their new sandwiches are now part of their everyday menu. “We like to give our customers something new to try by introducing different flavors and food combinations,” says owner Dan Davis. “Last year we featured a Bacon Queso Pulled Pork sandwich and a Smoked Turkey BLT. So far this year we are offering a Jalapeno Jack Brisket sandwich and in April we are introducing a “Texas ’Cue-ban,” our take on a traditional Cuban sandwich.” The ’Cue-ban consists of smoked ham, pulled pork, sliced pickles, honey mustard and queso, served on warm Texas Toast. pulled pork, two thick strips of peppered bacon, queso and Hickory River’s signature barbecue sauce. The Jalapeno Jack Brisket sandwich is served with hand-sliced brisket, pepper-jack cheese, pickled jalapenos and its barbecue sauce. Both of these limited-time sandwiches have become so popular they are now part of Hickory River’s everyday menu. is back on!” Other popular items include Spinoza’s new hearth-baked rustic tacos, he says. These upscale-style tacos are built on authentic El Milagro corn tortillas and include ingredients such as Mexican chorizo sausage, Chihuahua cheese, hickory-smoked pulled pork, apple wood bacon and roasted corn and black bean salsa, says Bailey. One interesting item that people won’t find at most pizza restaurants is ice cream. Bailey says he makes the artisan ice cream in small batches and combines unique flavors and ingredients. “Our most popular ice creams are the Nutella Chocolate Chip and the Speculoos Ginger Snap,” he says. The restaurant has a full bar with draft beers from local and regional craft breweries along with wine from small family vineyards and a selection of specialty cocktails that feature house-made citrus juices, Brailey says. “Our commitment to quality, local sourcing of product and our live music program set us apart from other restaurants, especially the corporate chains,” he says. 2727 FAIRFIELD COMMONS BLVD., BEAVERCREEK. 426-7799, SPINOZAS.COM. Step into our 1850s brewery and explore each step of the historical brewing process. With oak barrels full of fermenting beer, bottles of handcrafted wine and house-made soda on tap there’s a taste of history for everyone. truly unique drinking and dining experience. We invite you, your family and friends to join us at Carillon Brewing Co. to enjoy a pint with European-inspired fare as we brew a barrel of history. MARION’S PIAZZA Despite the recent influx of out-oftown pizza chains that have opened or plan to open locations in the Miami Valley, Marion’s Piazza just keeps packing them into its restaurants. On a recent weekend, Roger Glass, president of Marion’s Piazza, says all nine of its restaurants’ dining rooms were pretty much full during dinner. The restaurants seat between 275 and 500 customers, he says. “There’s a few pizza houses out there that have a little bit of seating, but nobody has anywhere near what we have,” says Glass. “That’s kind of our niche. People, I think, enjoy going out. It takes pizza to another step. So people still keep jamming in.” Another reason they keep jamming in after 53 years in business is simple, says Glass. “People just love our pizza,” he says. “We sold over a million pizzas just in the Dayton area alone last year. And that’s a lot of pizza when you start countin’ them, you know?” People love Marion’s Piazza pizzas because it uses high-quality ingredients, says Glass. “We don’t try to cut corners,” he says. “One of our hallmarks is giving our customers their money’s worth, using top ingredients and loading those pizzas with those ingredients.” It’s a lesson that’s been honed since his father, Marion Glass, opened the first Marion’s Piazza on Patterson Road in 1965, says Glass. Marion selected the name Marion’s Piazza because he liked the idea of an outdoor cafe but realized that this concept would not be successful in Ohio’s climate. Marion, therefore, successfully brought the outdoors inside with an Italian piazza, or courtyard, and thus the name Marion’s Piazza was born. NINE LOCATIONS IN DAYTON, CENTERVILLE, BEAVERCREEK, ENGLEWOOD, TROY AND MASON. MARIONSPIAZZA.COM. innovative appetizers, expertly prepared seafood, unique salads, daily fresh-baked bread and in-house specialty desserts.” Talty says the large- or small-cut filet mignon and New York strip are the most popular steaks in the restaurant. The mushroom and blue cheese stuffed filet and the Angus beef porterhouse and Kansas City strip are also popular selections, followed by the well-marbled ribeye and the six chop roasted rack of lamb, he says. The Carvers lounge is a great gathering place for friends and family serving fine wines, craft and traditional beer along with generous pour cocktails, says Talty. DAYTON’S FIRST MOBILE WOOD-FIRED PIZZA OVEN! Visit View andLet Let Visit View162 162 and UsUs GiveGive You a aNew Dayton! You New VIEW VIEW ofofDayton! Visit View 162 and Let Us Give You a New VIEW of Dayton! PHO MI 8990 Kingsridge Drive, Dayton 937-433-7388 pho-mi.com DON’T SEE YOUR RESTAURANT? ADD IT FOR FREE AT THEDAYTONMAGAZINE.COM. So close, you can feel the heat. Buy your ticket today. en years ago Jason Roeper had a desire to make good beer locally and a budding reputation for crafting unique brews. The only problem was that the local landscape wasn’t quite ready for it. “When I started it was about fighting just to get people to notice,” Roeper says. Strange though it may seem, brewpubs weren’t nearly as ubiquitous in the Tristate 10 years ago. In fact, before 2012 Ohio laws made it cost-prohibitive to open a taproom or self-distribute. Roeper and his young company ran into a lot of difficulty in being granted commercial space but in 2009 he found a location in Lockland with the right combination of industrial capability for production, proximity to the highway to keep distribution overhead low and a consistent source of good, clean water with which to brew. Now, Rivertown Brewery is the secondlargest independent craft brewer in the city and its Monroe taproom and eatery is both a community fixture and a regional destination for quality food and drink. The local brewing operation started its 10th anniversary celebration a bit early as Rivertown began self-distributing its beer to Cincinnati bars, vendors and shops in October 2018. This new autonomy over distribution—in addition to owning the building in Monroe where their Barrel House is located—has been a welcome relief to Roeper and his wife and partner in running Rivertown, Lindsey. A deadly tornado ripped through Xenia on April 3, 1974.
medical services in Physicians a compassionate and caring environment. eight skilled urologiststhe andhighest Forquality over 20 years, Dayton Network Urology has been With committed to providing two convenient locations, your network of care is always convenient for you. quality medical services in a compassionate and caring environment. With eight skilled urologists and two convenient locations, your network of care is always convenient for you. Dayton Physicians Network Urologists are leading the way with cutting-edge medical procedures such as minimally invasive robotic surgery, endoscopic and laser surgery, and radioactive seed implantation Dayton Network Urologists leading the role wayinwith procedures such for Physicians prostate cancer. The practice also are plays an integral the cutting-edge field of urologymedical through research as minimally invasive robotic surgery, endoscopic laserCancer surgery, and radioactive seed implantation studies and our Advancedand Prostate Clinic. for prostate cancer. The practice also plays an integral role in the field of urology through research We're just around the corner and always there when you need us. studies and our Advanced Prostate Cancer Clinic. Call us at 937-293-1622 to find a location near you or visit www.daytonphysicians.com We're just around the corner and always there when you need us. DID YOU SERVE IN THE MILITARY? No matter when or where you served, you may be eligible for VA benefits. The National Alliance of Mental Illness Montgomery County participates in the American Foundation for Suicide Prevention’s Out of the Darkness fundraiser and walk and other mental health outreach events. brain all contribute to one’s mental health status. For example, being involved in an auto accident can create a brain bruise in the front temporal lobe, temporarily or permanently altering the brain’s physiology. At the same time, Stagles emphasizes that not everything that looks like a mental illness actually is. An underactive thyroid can create symptoms that mimic depression or anxiety while an overactive thyroid can mimic dementia. “Get checked out physically before mentally,” Stagles says. patients are discharged relatively quickly, with 72 hours being the standard length of a psychiatric hold at a hospital. Since psychiatric medications often take up to six weeks to reach full efficacy this leaves patients with a gap during which they may not yet be able to function independently. With the new center patients can stay until they are ready to transition. Stagles notes that this first site cost $1.2 million to build and there will ultimately be six such sites in Ohio. Dayton is on the list so this is an exciting opportunity for increased support for individuals with mental health conditions. “This is an important piece because more and more people are needing housing,” Stagles says. Many people feel pressure to “do it all”— maintain a healthy lifestyle, do their best at work and get a full night of sleep. But trying to keep up with all of life’s demands can be tiring. What can you do to ease stress? One of the biggest keys to preventing chronic stress, says Manuel, is practicing regular self-care by finding what activities help you to relax. But how do you take a break? Kettering Health Network is using the RAPID imaging platform. a new class of automated brain imaging software that allows doctors to quickly visualize reductions in blood flow to the brain and early signs of brain injury. hen facing a battle against cancer you want to be sure that you have the most effective and latest treatment options on your side. Many assume that this means traveling to well-known facilities and incurring multiple expensive and inconvenient overnight stays to take advantage of treatments based on new research or to participate in clinical trials, but this is not the case for those in the Dayton area.